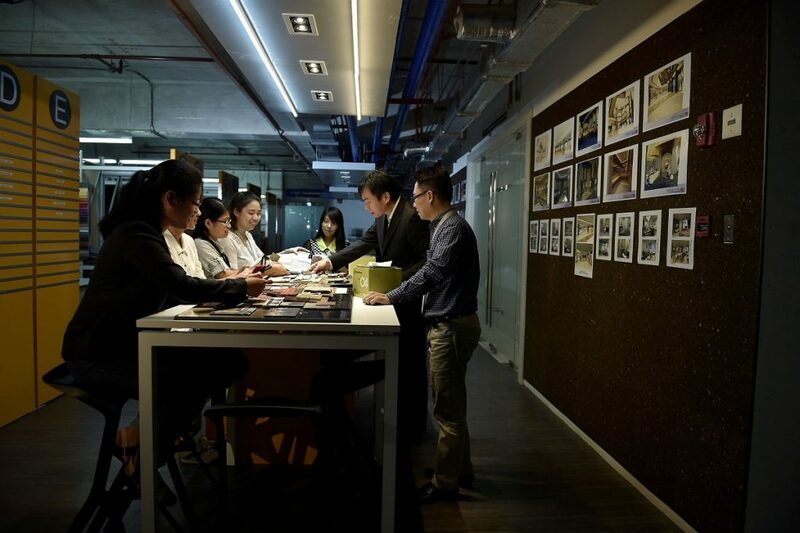 With design as its main line of service, A Place, ASYA Design’s Pre-certified LEED Gold headquarters, features inspiring spaces to work that encourages communication and caters to its need as an architectural and design firm. 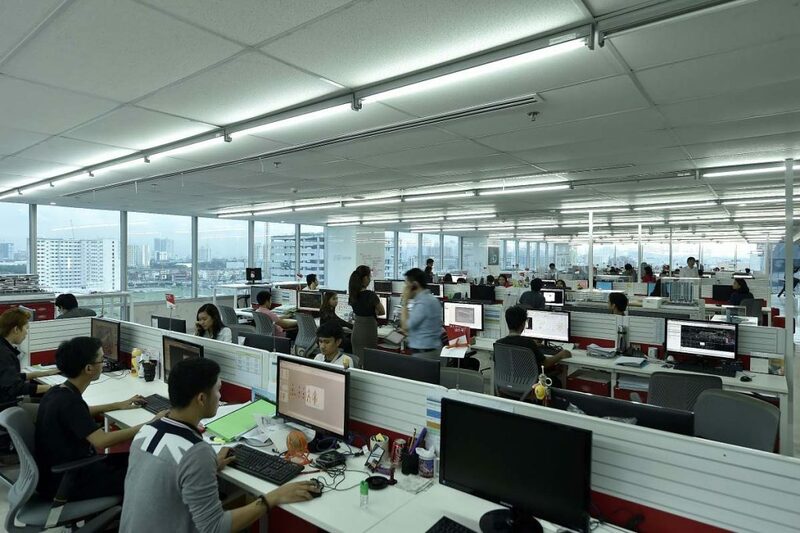 Office areas, for example, offer a minimalist open-space layout approach. It promotes egalitarian principles and assures face to face connections with peers. It also instantly opens up the space, letting more light in and letting people move freely to casually connect. 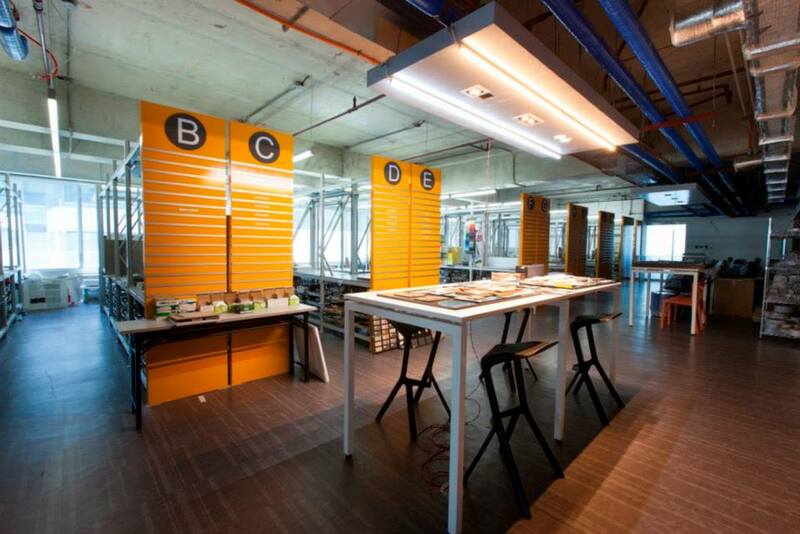 Spaces to collaborate are available in the form of SOLUTION BOXES, a room specifically designed for interaction, sharing ideas, and collaborating in a seated semi-private area. To engage the team even more, solution boxes have complete meeting amenities such as cork boards, whiteboards, moveable interactive TV’s, and a fantastic view to boot. The MOOD ROOM is another feature that’s intended for designers. 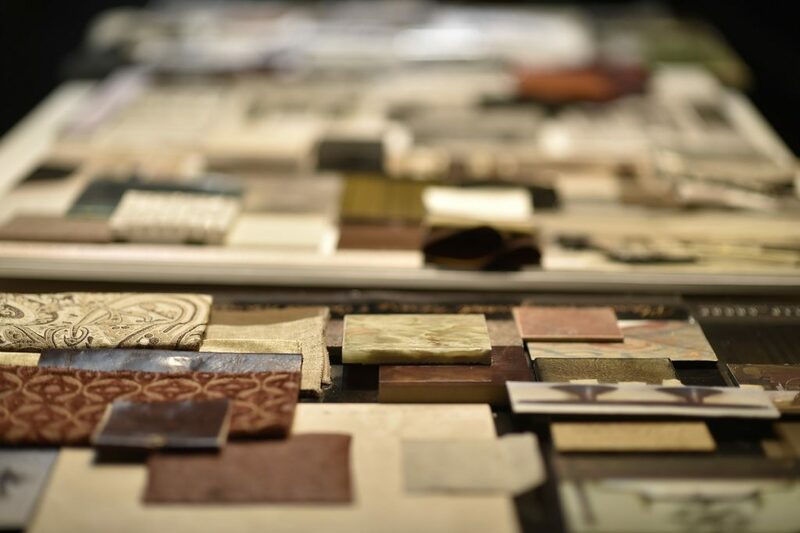 It’s a library of all swatches that an interior designer or an architect could ever need. 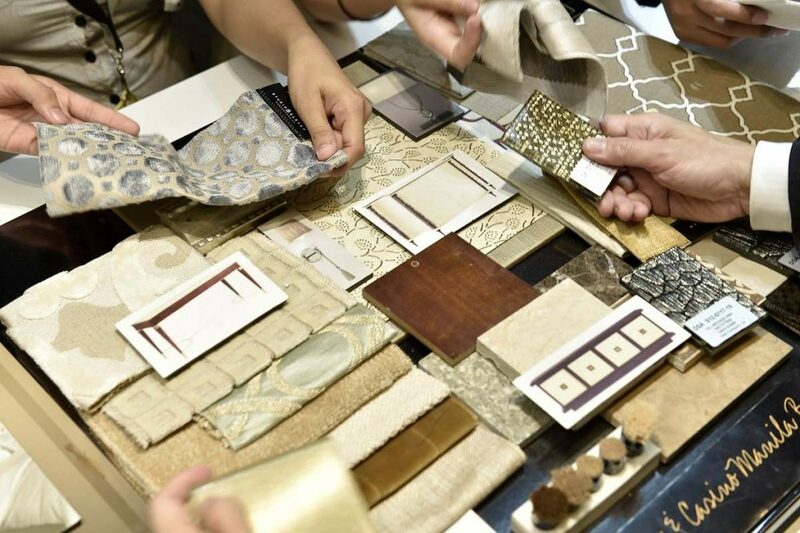 It’s basically a mecca for supplier samples: from wall finishes, to carpet samples, to facade mock ups where everything is properly collated, labelled and archived. Even the lighting fixtures are operable such that designers can test weather a material works well in warm or cool light. 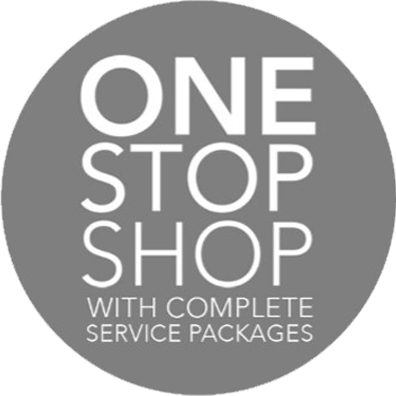 This way, our designers have a fast and hassle-free experience of putting together a mood board for their clients. 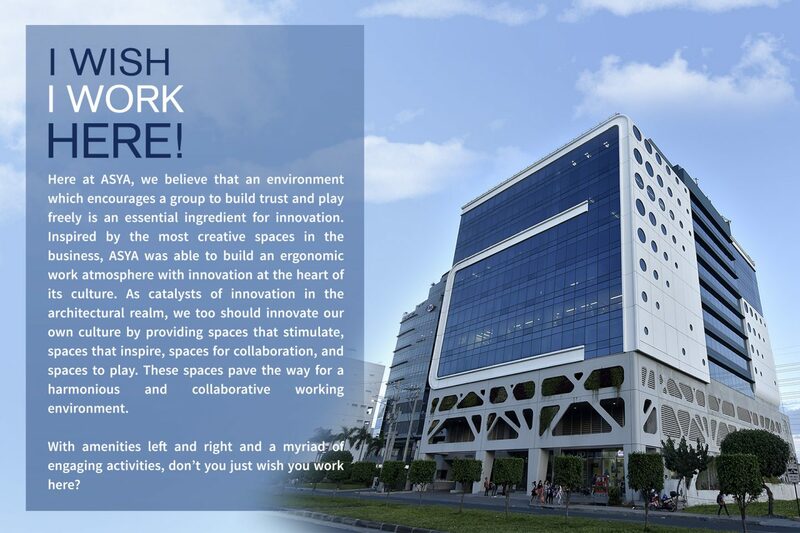 Committed to the work-play balance culture that ASYA Design emanates, sports facilities are allocated throughout the building. Ultimately, we are driven to perform with excellence and be the best in our craft by having a sound mind and body. 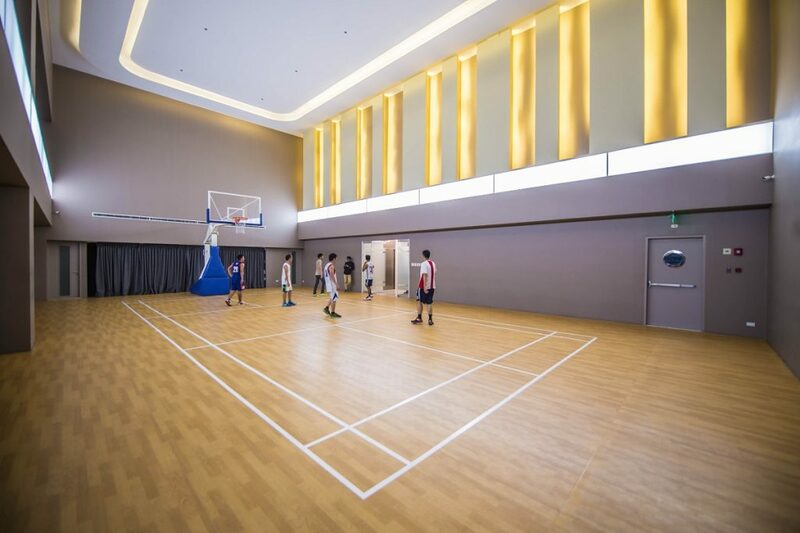 This is why A Place features an 8.5 meter-high multi-purpose PLAYGROUND that’s convertible into a half-court Basketball facility or a Badminton court. It’s operable blinds, and flexible lighting, also allows itself to also be venue for intimate corporate gatherings. 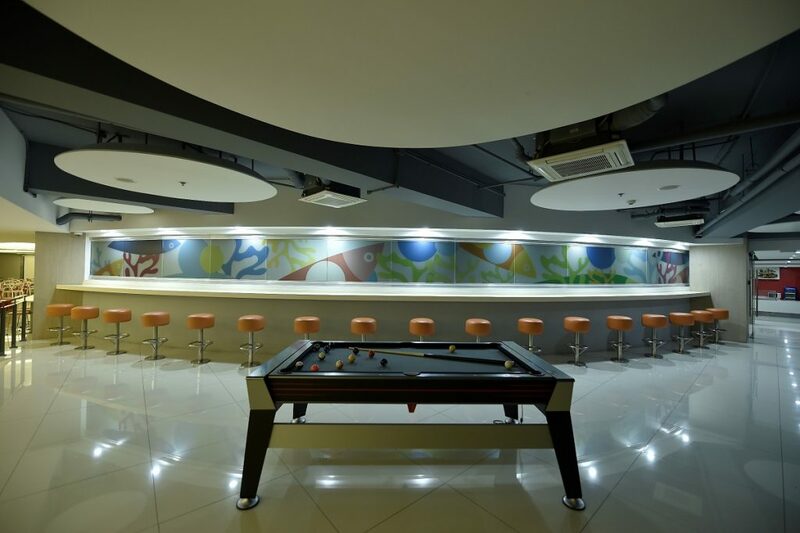 Sports facilities are also readily available on the P2 floor, at A Place’s cafeteria labelled as the CORAL. 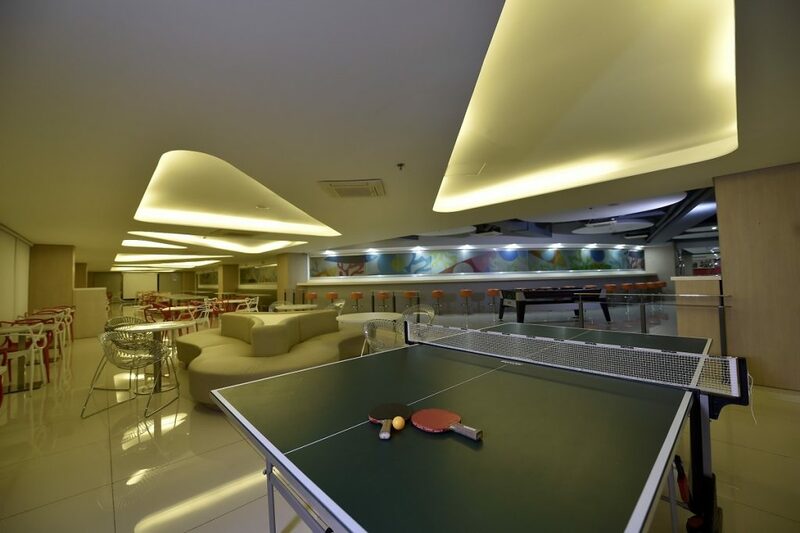 During break time, ASYA Design staffs are encouraged to play Ping-Pong, Billiards, and Air Hockey, in true arcade fashion. 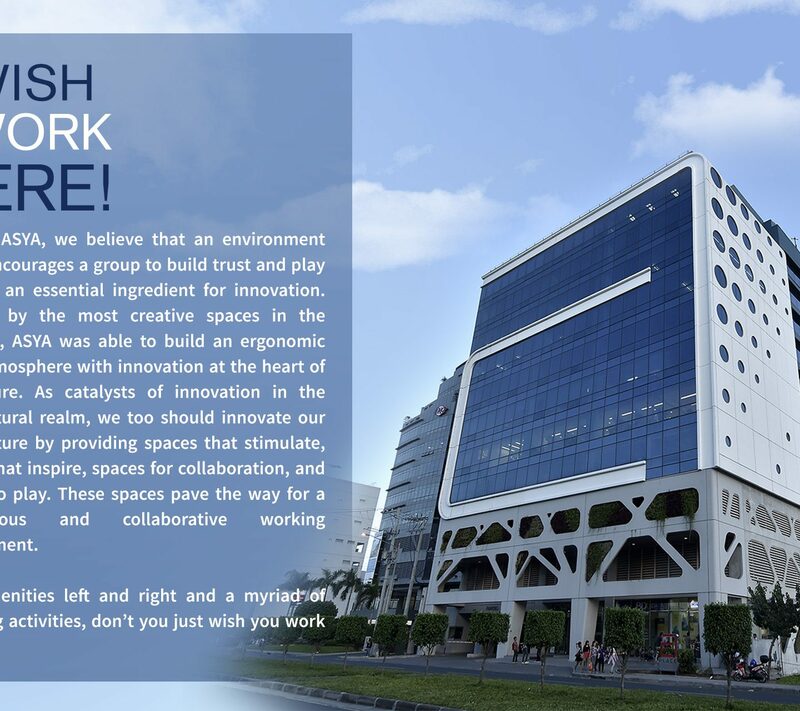 ASYA Design promotes creativity and innovation to establish a positive impact on productivity, collaboration and inspiration. 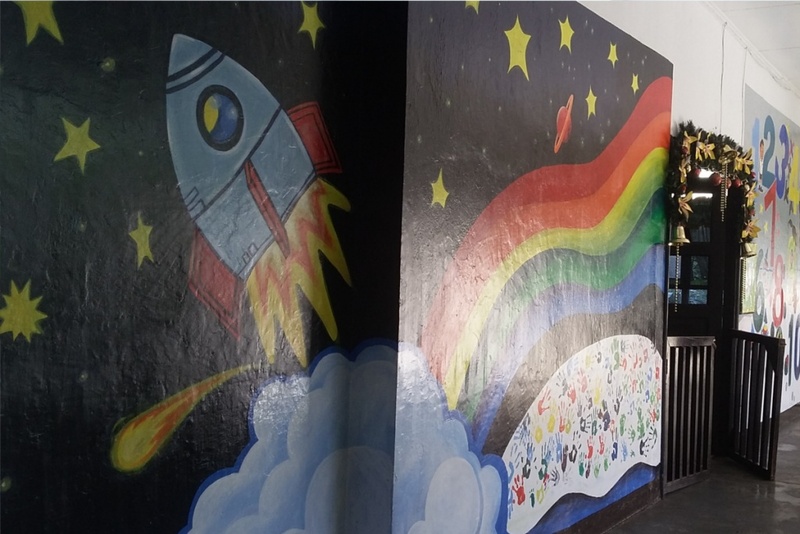 When employees think creatively, they push the boundaries of what is possible. 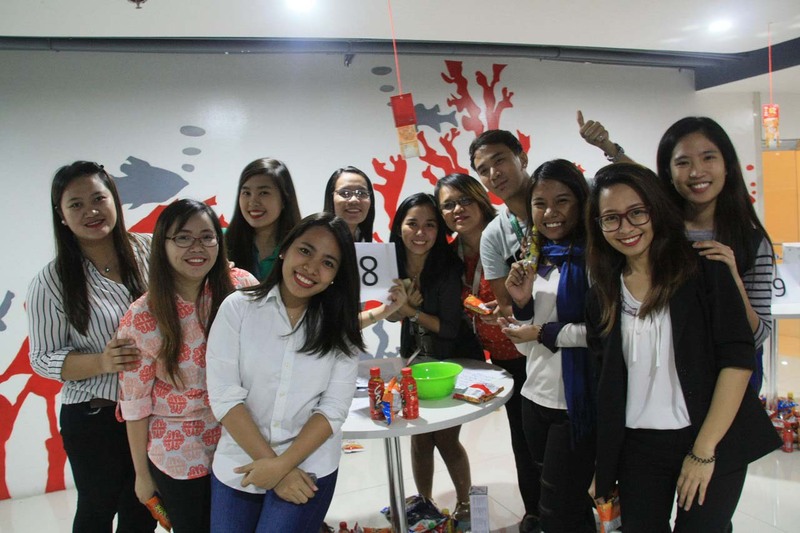 To foster this creativity and to motivate them to excel in their respective work, ASYA office becomes a place where work and play complement each other by providing creativity training programs, team-building, and leadership development with fun as its main foundation. There is nothing better than an ice cream on a hot summer day. This frozen treat provides the same nutrients from milk and yogurt. 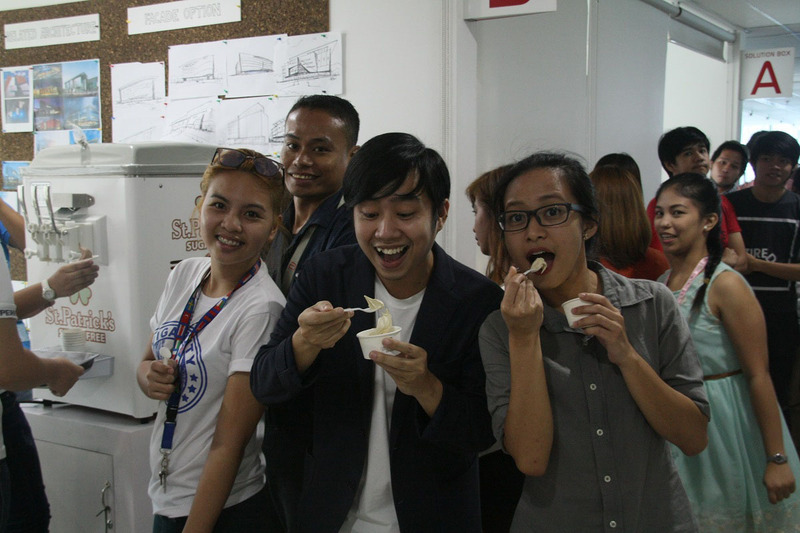 To beat the summer heat, everyone indulges in free ice cream of varied flavors from a Mamang Sorbetero who hops from one department to another to serve this delight. A cup of hot taho is served to those who enjoy this staple Filipino comfort food of signature sweet. It is a good source of protein and all eight essential amino acids. It is also an excellent source of iron and the minerals manganese, selenium, and phosphorus. 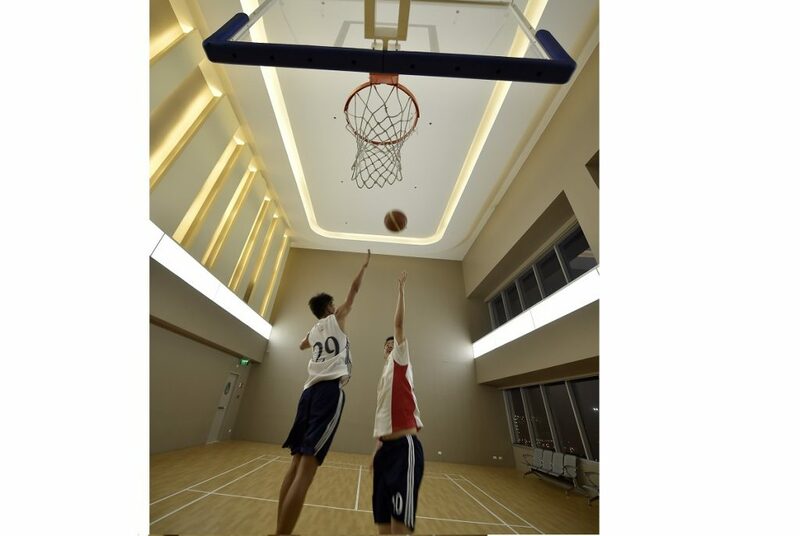 With the growth in popularity of 3 on 3 plays, ASYA Design offers a free practice on the run. 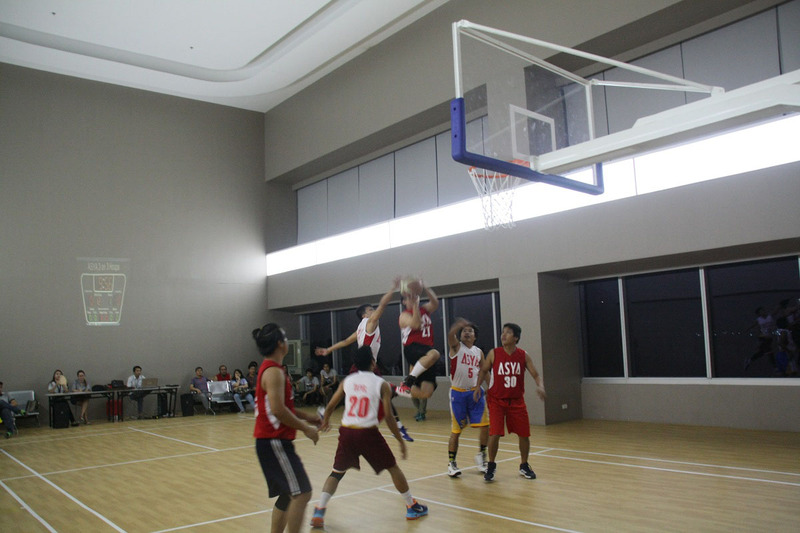 Each department has a team of 3 to 5 players to qualify in the elimination round and vie for the win in the quarter finals of the 3 on 3 basketball tournament. 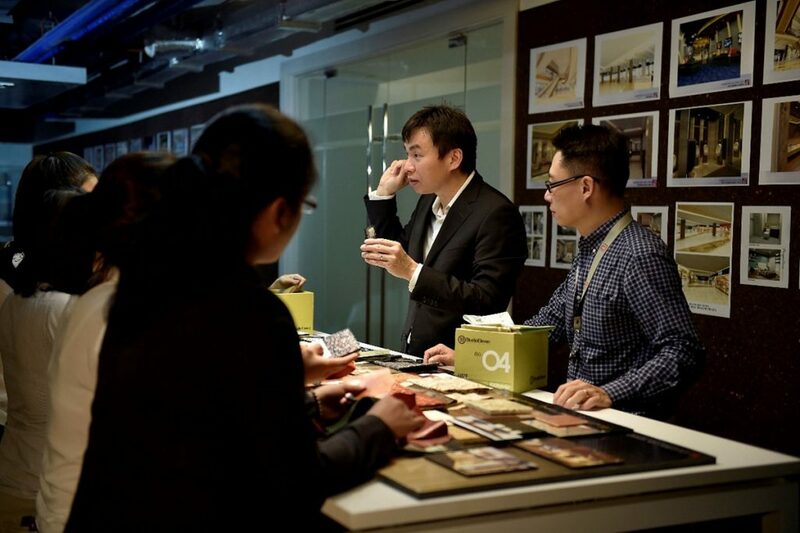 In celebration of the Chinese Mid-autumn festival, ASYA Design celebrates the Mooncake Festival with exciting and bustling atmosphere. Everyone is enjoined to participate in a game of fate or simply mid-autumn dice game for a chance to go home with a prize. 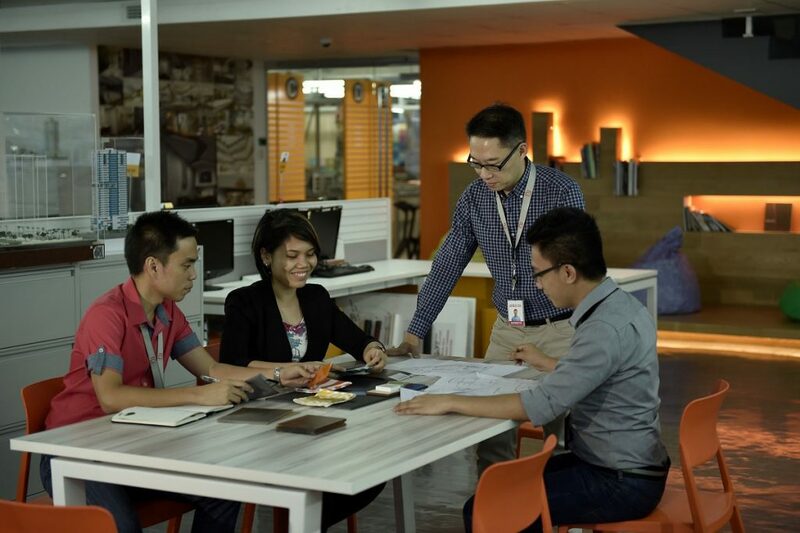 ASYA Design hones the multiple intelligences of its employees. As singing is one of the common interests of Filipinos, a search for Videoke King and Queen Is open to all who want to flaunt their singing prowess. 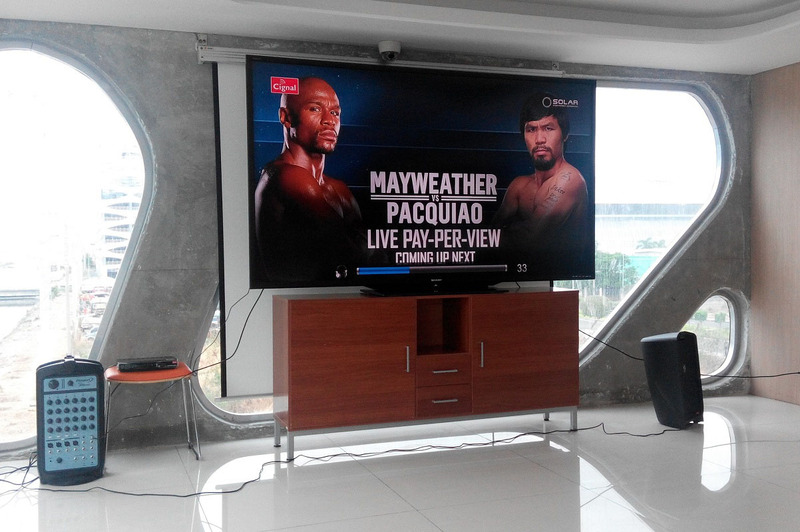 In support of our Pambansang Kamao, ASYA Design subscribes to pay per view for free viewing of Pacquiao vs Mayweather fight last May 2, 2015. It was projected on an 85-inch flat screen TV at the CORAL Cafeteria where everyone can clearly see the contenders' every punch. 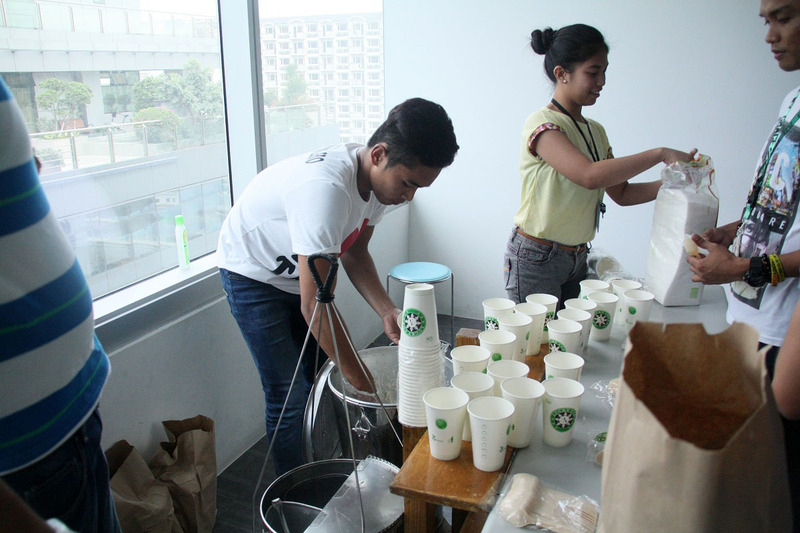 Although the Philippines didn't come out victorious, viewers still enjoyed watching while free snacks, lunch, and drinks are served for full-entertainment. 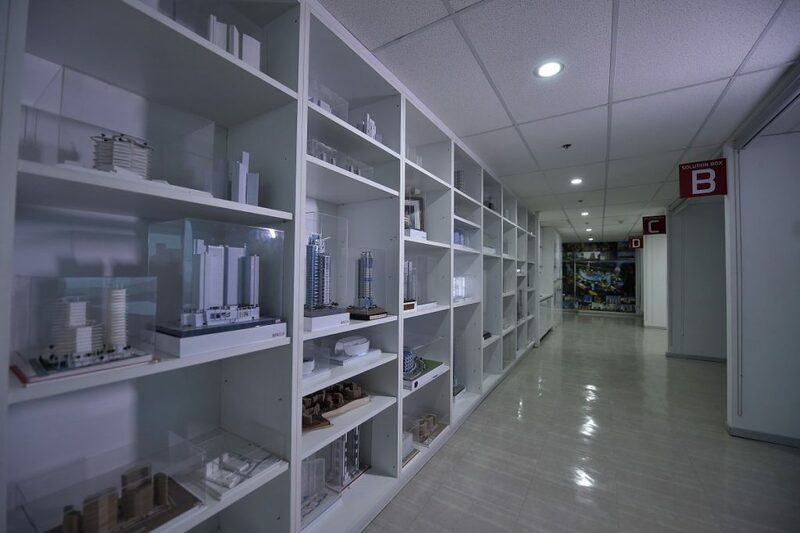 ASYA Design Partner is determined to perform with excellence and strives to be the best in its craft not only by producing innovative concepts, but also by having a sound mind and body. 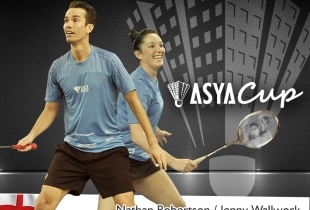 With this as a general directive, ASYA introduced ASYA CUP an annual badminton tournament comprised of business allies who have showed their unwavering support to ASYA Design. These include developers, suppliers, consultants and ASYA employees who vie for the championship trophies. 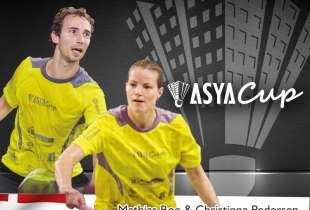 To learn more, visit ASYA Cup Official Website. 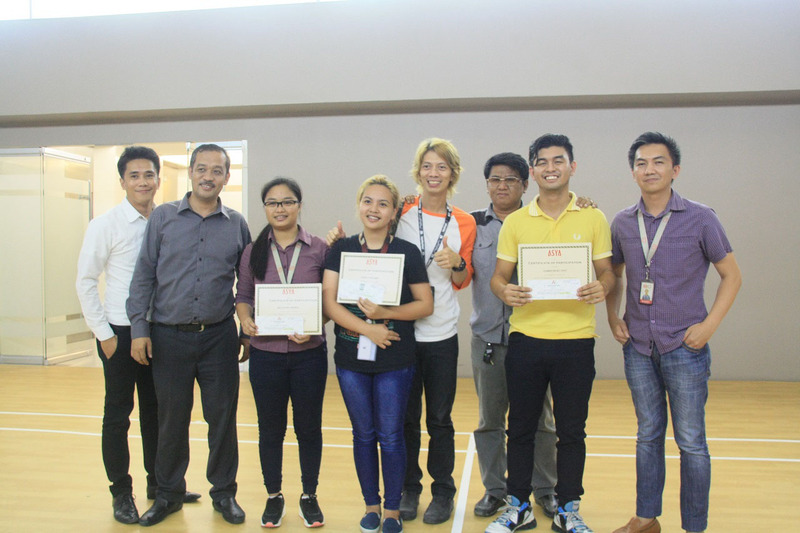 For more than 10 years, ASYAS Design have been reaching out to the less fortunate as his way of paying it back and as part of the firm’s Corporate Social Responsibility (CSR) projects. 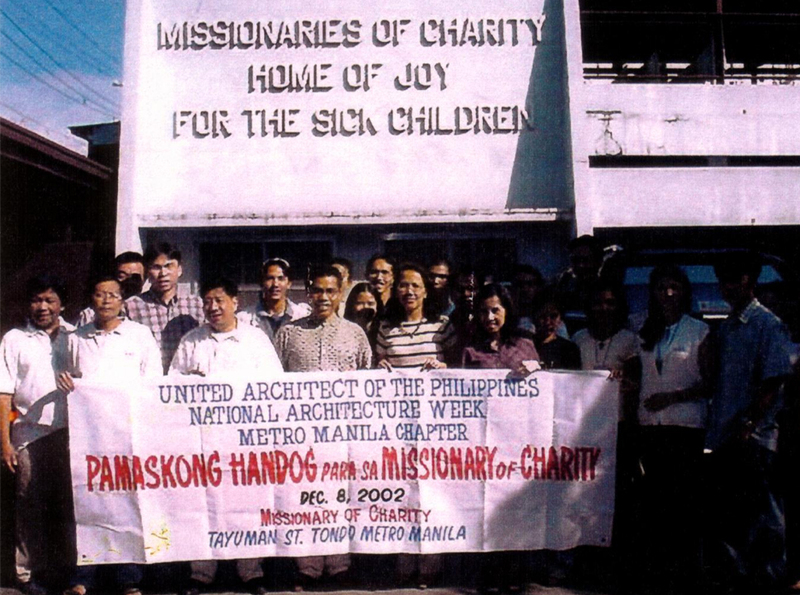 We believe that it’s about paying it back and serving our countrymen since they give us a sense of purpose and reinvigorate our sense of humanity by caring and helping others.